There’s a niche between high-end Bluetooth wireless sport headphones well over $100 and the ultra budget variety, less than $30. 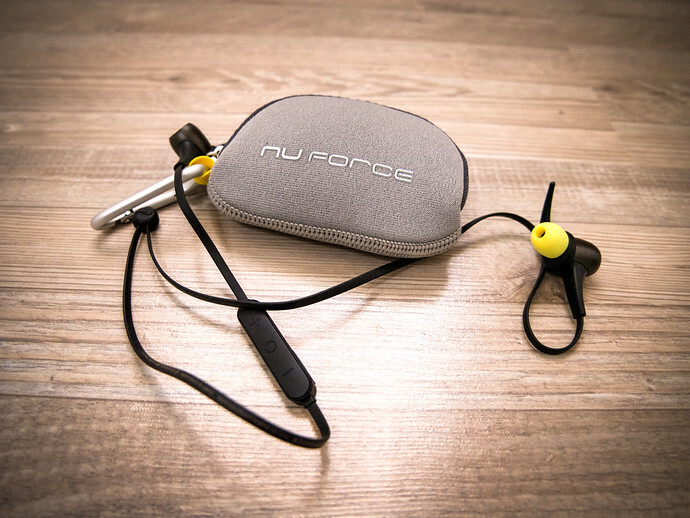 The NuForce BE Sport3 fills the void by taking the best of both ends, here’s why they might be the ideal wireless headphones for you, especially if you exercise frequently when traveling. The BE Sport3 earbuds weigh 13 grams (.45 ounces) and pair over Bluetooth with your phone. They also come with a small carry case plus a variety of colors of wingtips, which help keep the BE Sport3 in your ear during exercise, particularly running. The BE Sport3 aren’t as small as the higher end sport headphones, but fit very comfortably for a set of earbuds in the $80 range. Cheaper Bluetooth headphones tend to be bulkier, cutting costs in the physical design, so running on pavement or on hiking trails tends to be a problem with them after you get sweaty. Speaking of sweat, the BE Sport3 are IP55 rated, meaning they are highly water and dust resistant. The Sport3 also have about 10 hours of battery life on paper, surprisingly in my tests I was able to get this much out of them as well. It takes about 50 minutes to charge completely (over a micro-USB port in the remote controller of the earbud wire). That remote controller is on the right side of the earbud cable and one of two small issues I have with the BE Sport3. The weight of the remote on the right side means it’s the right side that tends to fall out of your ear on occasion. But, let me be clear, these are the best wireless headphones I’ve used when running in terms of comfort and ear placement. In my opinion, for sport headphones, especially wireless ones, staying in your ear is the most important feature. Sound quality is good but tends to highlight mid-tones, so you don’t get a lot of bass or treble. NuForce probably keeps the price down by not developing an app to go with the earbuds, meaning you can’t make any audio adjustments. Otherwise, the pairing is solid, never choppy during my use, and the Sport3 do provide good seal from outside noise. Is The BE Sport3 For You? 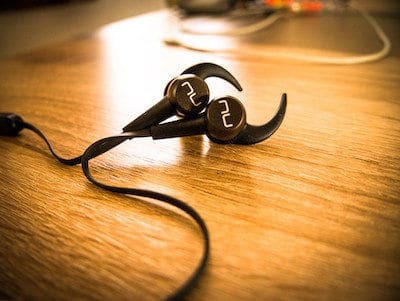 The NuForce BE Sport3 are excellent earbuds for runners. For the best audio quality, particularly on flights, you’re better off looking at the Bose QuietComfort, but they’re wired, for walking, and triple the price. On the lower end, a pair of TaoTronics for $20 will serve you decently, though have trouble staying put during heavy exercise. As you can see in my full review video at the top of this post, the BE Sport3 often though go on sale (I post those here daily) for $50 or $60, and at those prices with this quality, you shouldn’t be looking at any other wireless sport headphones.